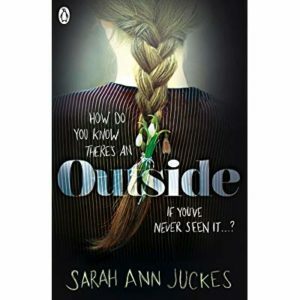 Book review and Launch of Outside by Sarah Ann Juckes. Last night I was lucky enough to go to the launch of this wonderful book. I initially downloaded it as an ARC from Netgalley because of the description. Something dark and mysterious with hints of The Room was right up my alley. The book starts with Ele, our 15-year-old protagonist, who lists reasons why she believes that there is an outside. We come to understand that she and several “others” are held in one room with no windows and only one door. The only person who comes through the door is Him. He is their captor, a man who regulates their feed, their water and the sun bars. Ele has lived her whole life inside this one room, she has never seen rain or trees or grass. But she knows they exist from her books and because of ‘the proofs’ that she lives her life by. These Proofs are logical assumptions of a growing intelligent mind. For example Proof number one is Books. Books tell the truth and they tell of an outside, therefore, there must be an inside and an outside. The Others don’t agree, they think that this life and this room is all there is. But Ele is certain, and she wants out. The story follows Ele as she plans her escape and what happens to her afterwards. To say any more would spoil the story but there are some great twists and some truly interesting insights into what life would be like if you had been so isolated. From a psychological point of view, I appreciated the glimpses into such a sheltered mind. She had no idea what was happening to her and mentions things in pure innocence that makes the reader uncomfortable. She doesn’t elaborate on what He does to her but her few remarks “..covered over in his extra-skins, though I know He’ll take them off soon enough.” and “leaving me with a bellyful of hurt.” make it very clear to the reader what is going on. The fact that she only has her fairy tale books to try to make sense of life outside is fascinating. We may see them as a dustbin lid and mop to attack cars and grown-ups but to Ele, she is fashioning weapons and shields to fight dragons and giants. Outside is a glimpse into a child’s imagination told by someone old enough to explain. It’s a beautiful book, dark and twisted but also child-like in its wonder of the world seen for the first time. It is in first person narrative which does annoy some people but I think really helped with the atmosphere and truly experiencing what Ele does. At the launch, the author told us that she got inspiration from reading The Room and there is a similar feel but the subject is explored in a very different way with care and attention to detail. Apparently, the book took 4 years to write and the fact that the books flows so well shows that none of this time was wasted. Sarah Ann Juckes mentioned that she wanted to explore the juxtaposition of a child’s innocence of the darker things going on with the readers’ awareness and she has done this beautifully. Not just in the early chapters detailing Ele’s abuse, but also later on when she interacts with people on the outside who have their own demons. I could go on and for some reason want to write an essay about the psychological effects of isolation and mental illness but I’ll leave the twists for the reader. The book is YA but there are a few themes which might trigger some people. Obviously child abuse, family death and mentions of sexual abuse, so please be aware of that. 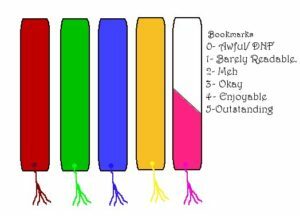 Other than that I would give the book 4.5 bookmarks. Definitely put this one on your list. Satou Johns on DNF and Guilt. Arya D. @ Arya's Fangirl Lexicon on Book Review: Non-fiction Craft books.